Former Centurions Martyn Ridyard and Tom Spencer are the first names added to the playing rosta for next season and more will follow in the coming days. They are unlikely to be the last ex-Leigh players making a return to the club with Jonny Pownall and Andy Thornley also tipped to sign up. 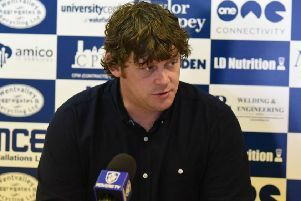 Duffy is intent on restoring some local pride to the club with a specific recruitment plan which seeks to tap into the high number of players who either started their careers at Leigh, or were born in Leigh but made their names elsewhere. It’s a far cry from the big-spending, big name strategy bankrolled by Derek Beaumont which saw the club promoted to Super League in 2017. Duffy will be assisted by his younger brother Jay as well as Paul Anderson and Micky Higham. All are former Leigh players with a determination to restore some pride in the Leigh shirt. “I had a meeting with Ando and Micky and we are all in the same boat,” said Duffy. “Once you have played for Leigh it never leaves you. 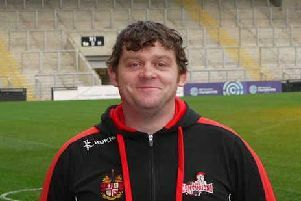 Derek in 2004 getting to Super League. That was an outstanding experience and we want to bring back those good times. lads who have always wanted to play for Leigh and lads who want to come and play for me. “It’s a one in a million experience being at Leigh and playing for the club and those fans you and you can’t let go of it. Duffy joins Leigh from Featherstone who finished a place above the Centurions in the Championship this season. He has also coached at Swinton and alongside Chris Chester in the Scotland national team. "I am delighted to get John on board and continue with a home-grown coach which we had with Kieron (Purtill),” enthused Leigh owner Derek Beaumont.